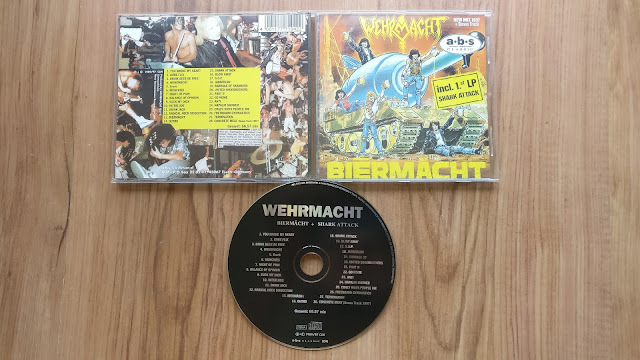 This CD combines the two albums from US crossover/thrashers Wehrmacht - 'Biermacht' & 'Shark Attack'. Released firstly on Shark Records, this is the a.b.s Records version. Original label New Renaissance counts this edition as a bootleg, mentioning that any CD released after 1990 is a boot. I'm not totally convinced, but I don't have the band's take on the situation.